Weird things are happening at Konami. I’m sure you all know that, what with the “God-of-vania” games, the Ground Zeroes fiasco, the E3 no-show, the managerial overhaul, recent turmoil surrounding two high profile games and now the delisting from the NYSE. All this from a company that was considered a top 5 gaming company in terms of revenue just a few years ago. It’s been a rather wild few weeks following Konami, which will all be culminating in the removal of P.T., the playable teaser for the now-cancelled Silent Hills. Interesting fact, this article was going to focus on that before the most recent news. 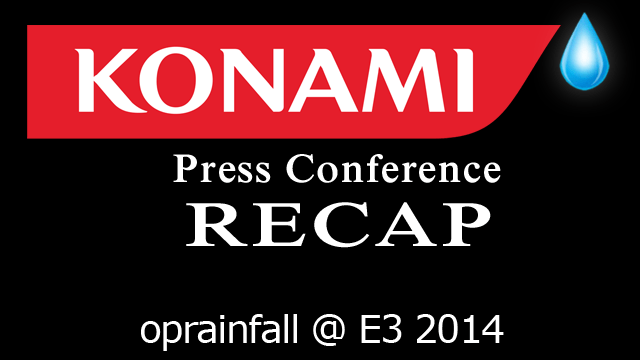 Obviously, this will be more about Konami as a whole rather than one franchise, though I’ll get to it later on. The past few years, Konami has been in a free fall, specifically on the video game side of its business. Back in 2011, Konami Digital Entertainment, Co. — the video game arm of Konami Corporation — brought in about $1.75 billion in revenue. Last year, that number had fallen to $1.02 billion. This year, it is expected around $840 million. Assuming these numbers hold up, that will be a 52% drop in just a few years for the holding company’s biggest revenue-earning business. Now, compared to other top third-party Japanese gaming companies, this doesn’t look too bad. Konami is still in front of SEGA at $735 million and Bandai Namco at around $680 million while being behind Square Enix by about $100 million. However, for a company that seems to have Triple-A aspirations for franchises like Metal Gear, Silent Hill and Castlevania, that revenue number is unacceptable. For what Konami is trying to do, they would need to make that $1.75 billion from 2011 consistently, which would put them in the neighborhood of Ubisoft. The silver lining for Konami seems to be this: as a holdings company, they are making money. The revenue in other areas such as gambling, fitness and other ventures seems to be helping the overall numbers stay relatively even. Overall revenue has been just above $2 billion, total assets over $3 billion and liabilities hovering around $1 billion. These things have been pretty consistent over the past four years. Shown here: A vestige of gaming’s past, not to be confused with Konami’s future. So, it’s not like they’ll be THQ, a $2 billion video game company that went belly up quickly when their video games didn’t find favor with people. Konami has enough of a cushion with their other ventures that a potential end won’t be nearly as drastic. But, if things don’t change for them with video games, an end will become more and more probable, whether it’s the whole holdings company or just the video game business. Early last year, the gaming world was critical of Metal Gear Solid V: Ground Zeroes, a 30-minute proof of concept that was priced at $30. Gamers and critics alike cried foul that a major publisher would charge for something that was essentially a demo for The Phantom Pain. And the reason for the release: they needed to raise money to finish The Phantom Pain. Moving into June, Konami had a counter that went to absolutely nothing. No presser, no trailer, no welcoming to E3. Combined with the low blow delivered to Sony by releasing The Phantom Pain trailer one day before Sony’s conference, this lead to me calling them the biggest losers of E3. On top of essentially becoming the E3 trolls that we all loathe, I was critical of Konami for having nothing else ready for the biggest event of the year — including not utilizing any of the old Hudson Soft IPs — and their actions tarnished what was once a great company, making it difficult to trust them again. Should we even bother getting one of these ready for this year? Truth be told, some time after E3, I expressed worry for the company to a number of contributors on the site. While I was angry about what happened, my mind started to wander, wondering if Konami was pooling all its money into one game because they were losing it elsewhere. But things seemed to be looking up as P.T. (known as Playable Teaser) was announced and released during Gamescom 2014. This was not only a great proof of concept but was a teaser for the next game in the Silent Hill series, known as Silent Hills. It would be developed by Hideo Kojima, directed by Guillermo del Toro and star Norman Reedus from The Walking Dead. In our yearly wrap-up, I called this a positive step towards rebuilding themselves. This was something that Konami could build upon to recapturing their glory days from long ago. However, as of today, all of that — Silent Hills, Kojima, del Toro, Reedus, and even the playable teaser for the game — will all be gone. Silent Hills has been cancelled. P.T. is getting removed from PSN today. Reedus’ contract has been allowed to expire. del Toro has been let go. And Konami has been distancing themselves from Kojima, not only removing him from management but also removing his company’s logo from any material for either the Silent Hill franchise or The Phantom Pain. Moreover, the move to cancel was a pretty costly one, though numbers for that are not available at the moment. Silent Hills, now forever a memory of what could’ve been. Combine that with the delisting of Konami from the New York Stock Exchange — which has been called a money saving measure since less than 1% of investors are from the U.S. — and you seriously have to wonder whether Konami is in trouble. How exactly did we get here? Well, all we can do at the moment is speculate. Kojima probably has a non-disclosure agreement somewhere in his contract with the company, which means that any answers from him will be long down the line. We might get some answers from Konami, since their financial report for last year will be coming in a couple of weeks. They’ve already thrown him under the bus once. What’s another time? But is it really his fault? From what I can see… not completely. 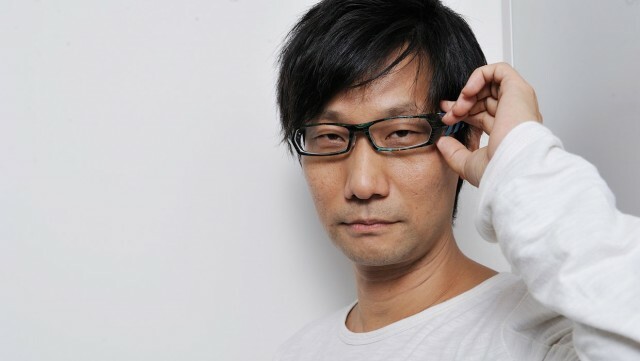 Konami still needs to be held accountable for his actions, since those happened while he was part of the board as well as part of a subsidiary to the company, Kojima Productions — which has been separated and turned into a contractor in the past couple of weeks. The money still comes from Konami. They could’ve stopped him from spending it. As for Kojima… It’s kind of tough to say. From afar, he seems like the Japanese version of David Cage. He seems like someone that follows an auteur style of development and is completely full of himself — which seems counter to what you would imagine a Japanese developer to be. You look at most of those guys — the Miyamotos, the Onos, the Aonumas — and they seem like they’re rather humble guys just having fun. And even for other auteurs like Swery and Suda, they don’t really seem like they really care too much if a game is super successful. They all just want to have fun and create awesome games — even if it’s only awesome in their mind. So where do we go from here? Well, I think we can say for certain that the era of Kojima is over. No more Konami as “Kojima and Friends.” But what their next move is will determine how Konami — the gaming company — moves forward. Open Up the Library. You do know that you’re more than Castlevania, Silent Hill, and Metal Gear, right? You do know that you have other franchises like Gradius, Rocket Knight, TwinBee, and Contra — just to list some easy games you could make with little translation needed — right? 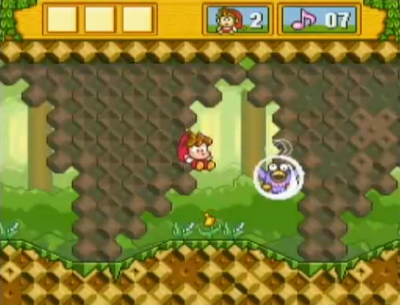 You do know you have the Hudson Soft library — which includes the likes of Bonk, Adventure Island, the Milon games, Far East of Eden, Bloody Roar, Star Soldier, and Bomberman — right? Why not make some game for those series? I’m certain people will buy them. But this is just one opinion of a company that looks bad in one part of it while the others look fairly healthy. Again, they’re not THQ. The end will not be swift. And who knows, maybe these changes will bring a renaissance to Konami. Only time will tell. 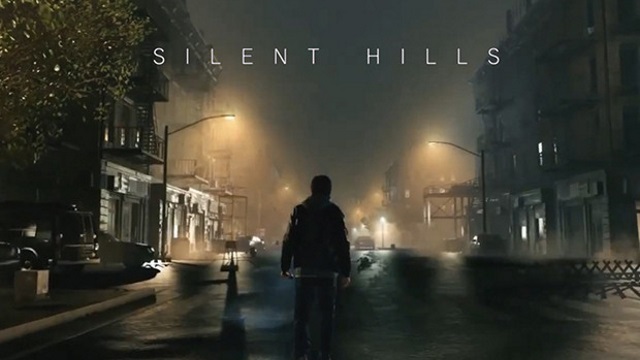 For now, the Konami that we loved and hated is gone — much like Silent Hills. In it’s place, uncertainty with Konami Digital Entertainment walking a tight rope over a big cushion — a cushion that’s marked Konami Sports & Life Co.
…situated right next to a Pachinko machine. …and a big screen T.V. showing the Yu-Gi-Oh! anime on loop. Next Post:PSN Golden Week 2015 Sale!